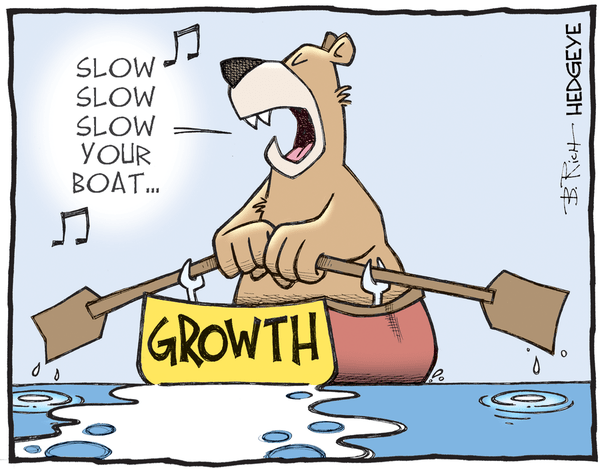 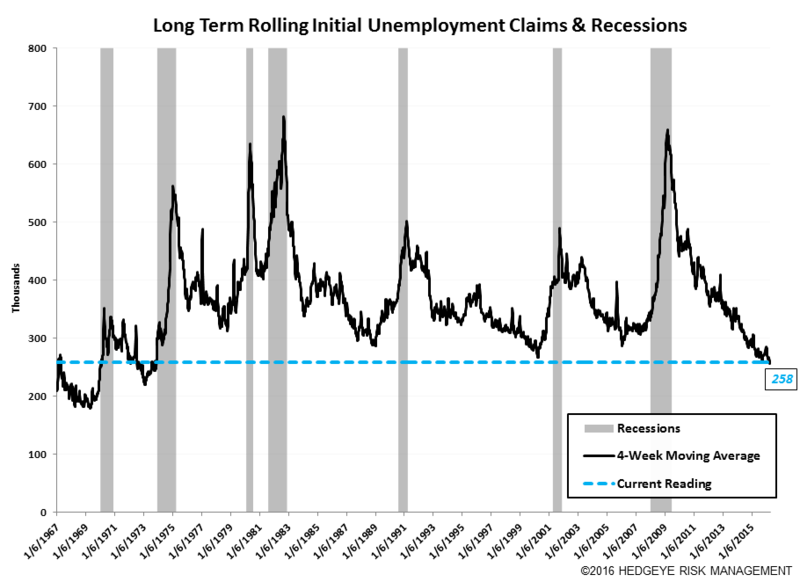 Takeaway: The latest labor market data shows the highest rate of W/W claims growth YTD coupled with a +155% M/M rise in energy job cuts for April. 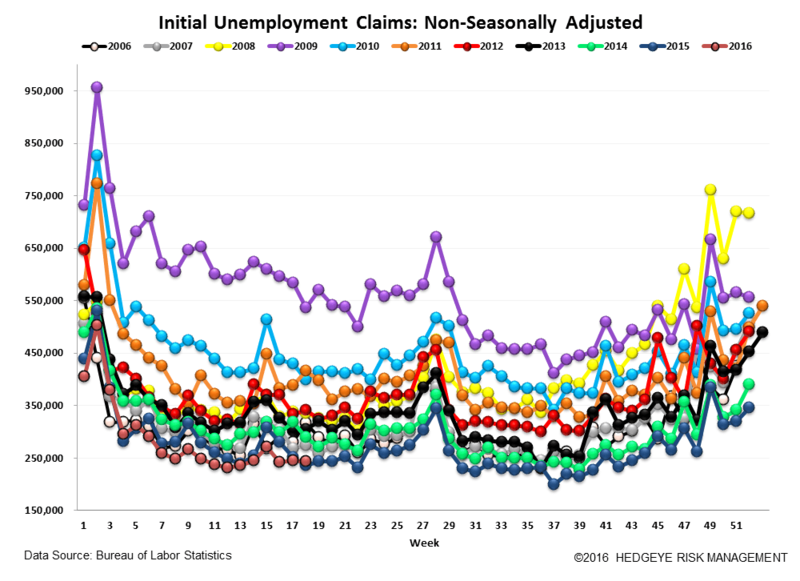 This morning's labor data shows two notable upticks. Seasonally adjusted initial claims rose +17k week over week to 274k, which is the largest week-over-week increase so far in 2016. 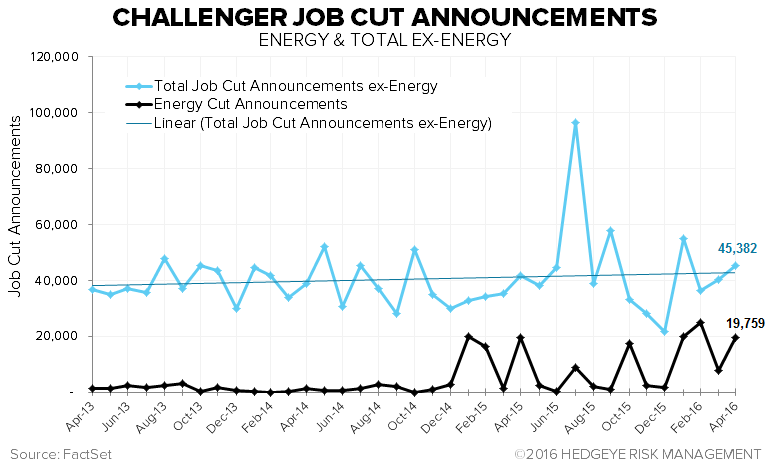 Additionally, the first chart below shows that Challenger Job Cuts in the energy sector rose +155% in April to 20k after falling to 8k in March. 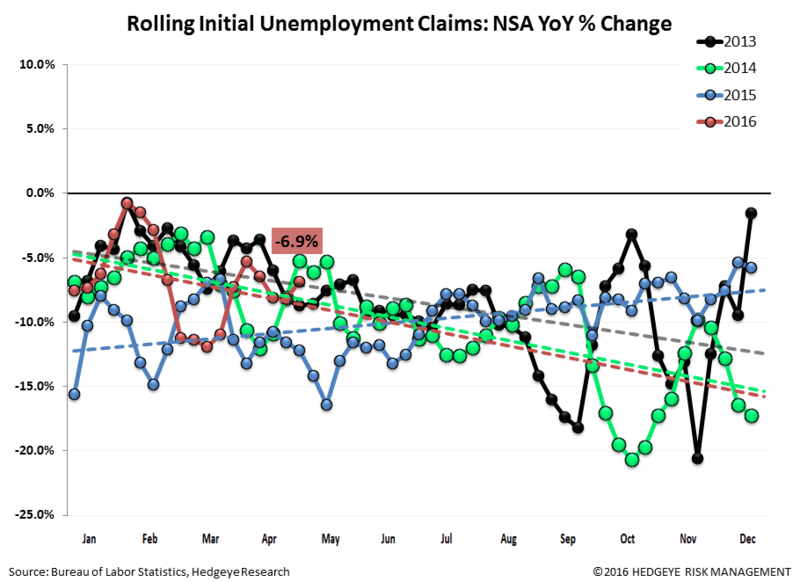 Moreover, the ADP survey out Wednesday showed a weaker-than-expected +156k jobs added in April vs. consensus of 193k and the prior print of 194k (downwardly revised from 200k). 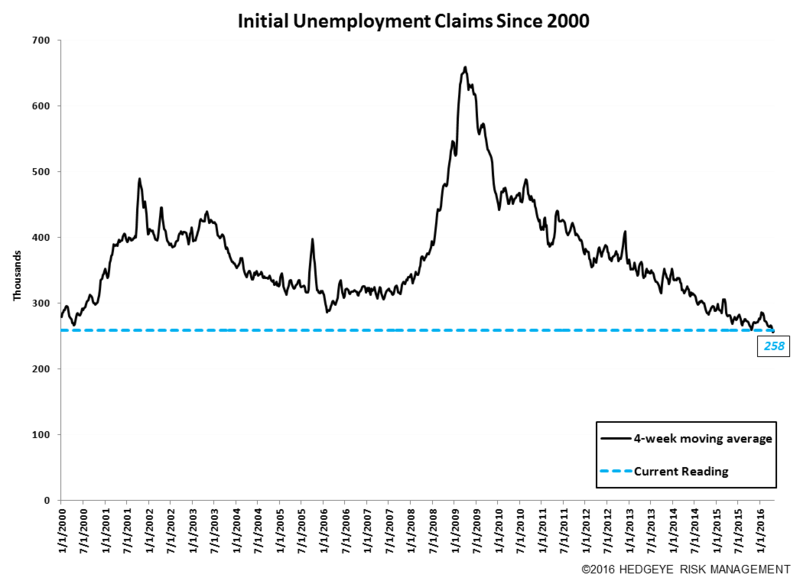 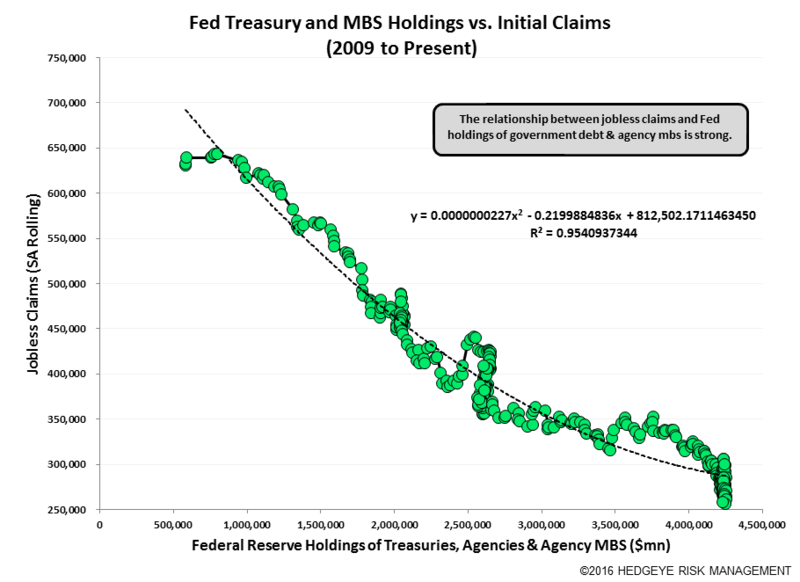 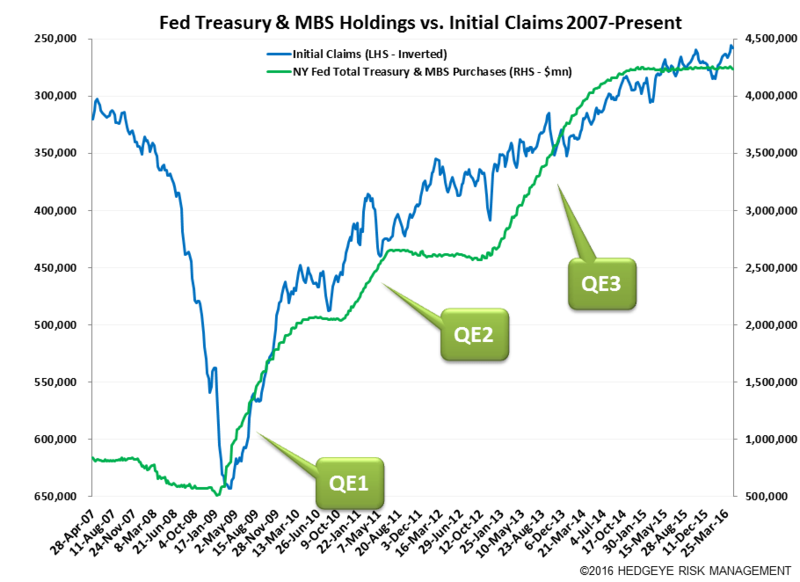 Prior to revision, initial jobless claims rose 17k to 274k from 257k WoW. 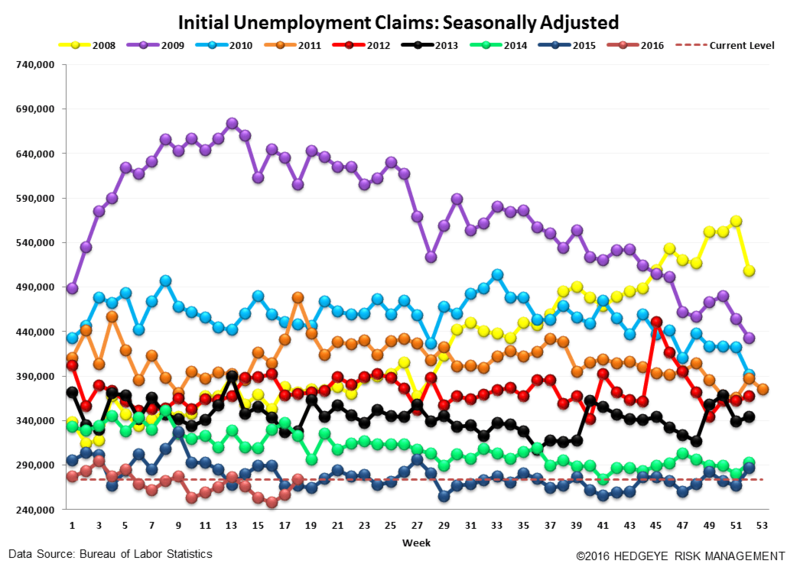 The prior week's number was not revised. 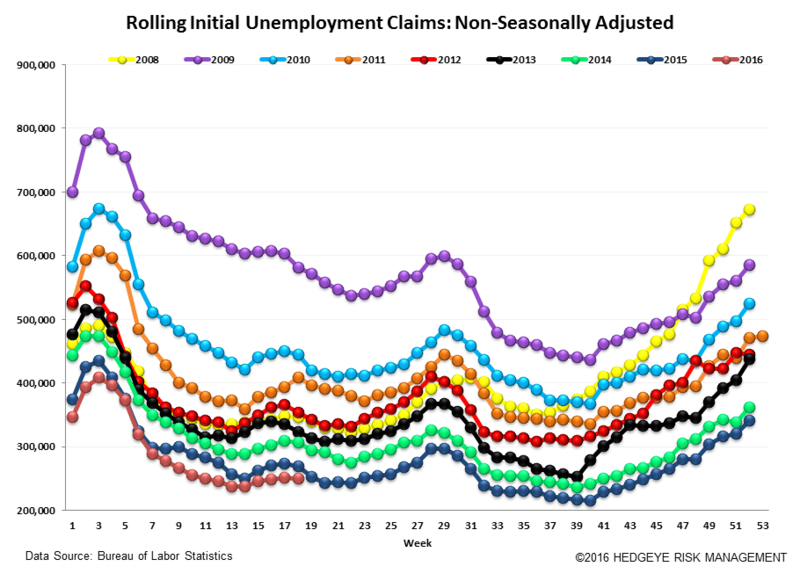 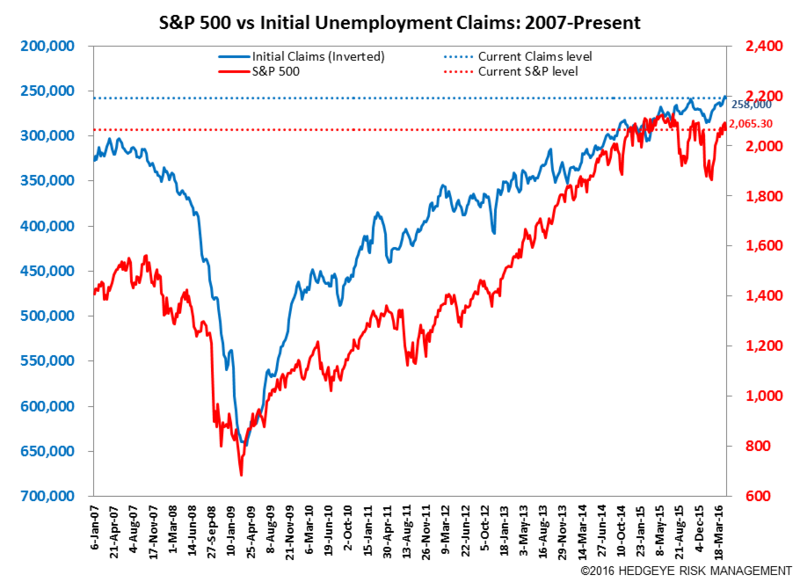 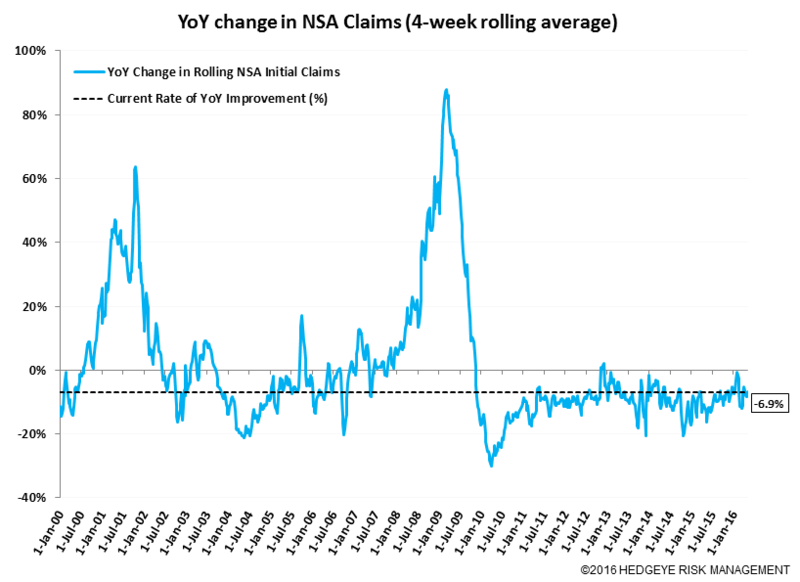 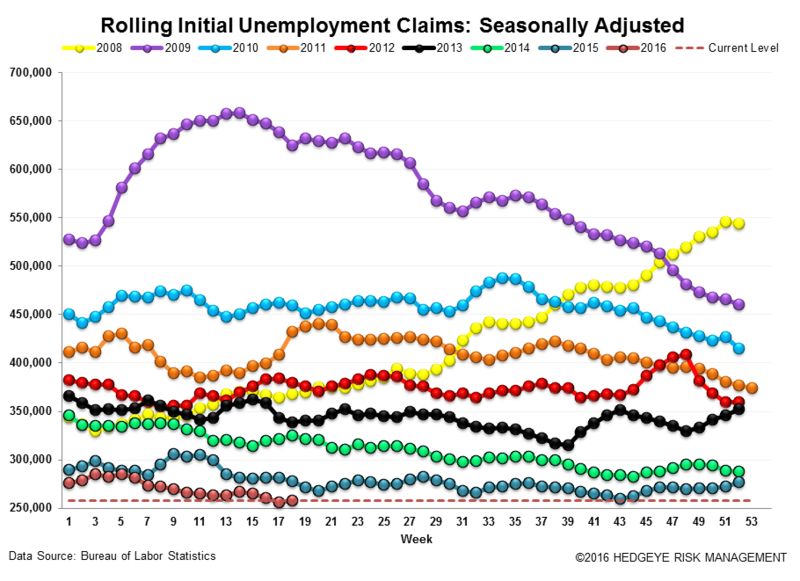 Meanwhile, the 4-week rolling average of seasonally-adjusted claims rose 2k WoW to 258k. 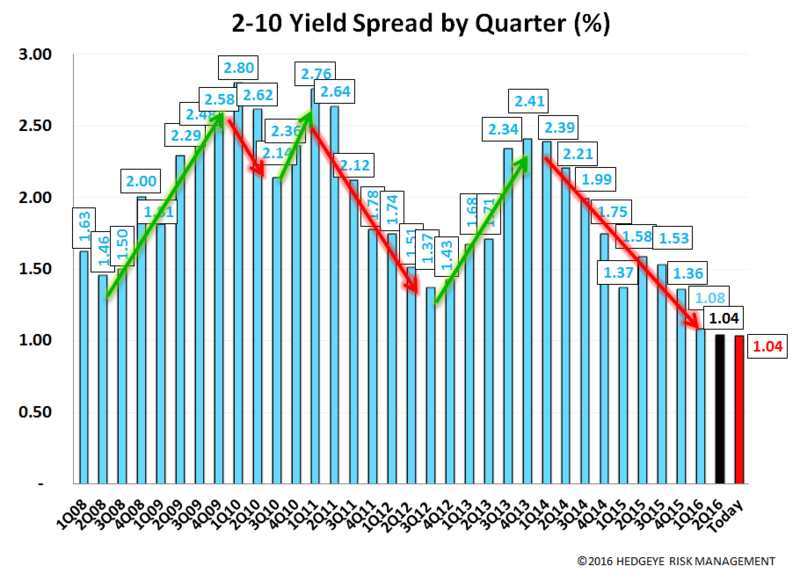 The 2-10 spread was unchanged WoW at 104 bps. 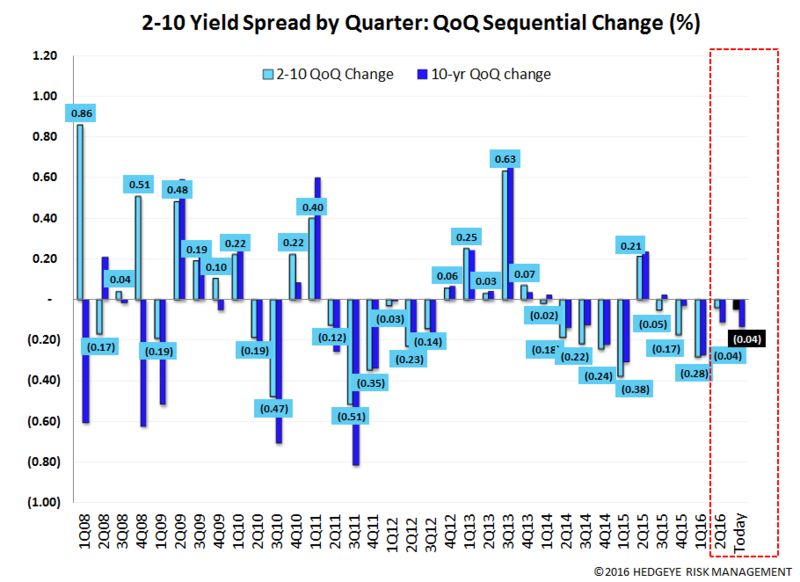 2Q16TD, the 2-10 spread is averaging 104 bps, which is lower by -4 bps relative to 1Q15.